This post is a part of a larger discussion, called the Manga Moveable Feast, about the Viz Signature line and its titles, hosted this month by Kate Dacey of the Manga Critic. Check out the introduction post for a short history of the Signature line and the archive for more blog posts on each of its titles! Let’s start off with the facts: Literary manga seems to be becoming more popular these days. 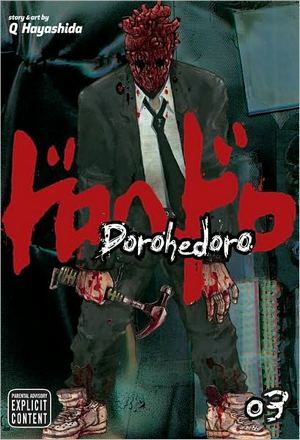 More and more, manga publishers that didn’t used to publish seinen are taking risks with titles for older audiences. The fact that these publishers are placing their bets on manga that used to have poor sales records in the U.S. might have something to do with the existence of Viz’s Signature/SigIkki line, and all the online experimentation Viz did with that. There’s only one problem: The Viz Signature line has lost a lot of its fizz. Where, oh, where has SigIkki.com gone? Oh, where, oh, where could it be? Sure,Viz is still invested in Signature titles and releasing volumes steadily, but there haven’t been a lot of new licenses within the Viz Signature line. Most likely, the line got a small financial boost from the anime adaption of Natsume Ono’s House of Five Leaves being streamed online. Thus, some of the most recent licenses have been her one-shots Tesoro and La Quinta Camera. 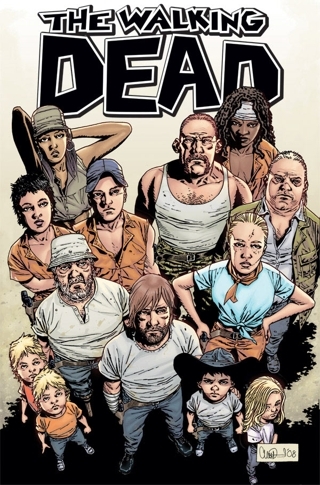 One-shots are not very risky, however, especially for a line that used to put up half of its current line up online for free until December, 2011. You see what I mean, right? Viz Signature titles, while very, vocally loved by their small fan-base, do not sell gangbusters. Luckily, I think there’s a fairly simple solution to the Viz Signature line’s woes. More very, very targeted marketing. I know! I know! This seems like a horrible idea! Comic book stores! Those bastions of evil where manga is, generally speaking, shunned by the majority of patrons as stupid. But here’s the thing: Viz Signature line titles are a showcase of how broad, meaningful and not “stupid” manga can be. There’s something in Viz Signature for practically everyone (excluding kids, perhaps.) And if you take the time to study what’s popular in nerd culture right now, you’d see that there are more than a few Viz Signature titles that one could easily place in the hands of fans who “just like Tezuka/Urasawa/Takahashi stuff” or even The Walking Dead fans. Because really, this is stuff that a lot of comic-reading adults out there could enjoy if they got the right recommendation. Or even if they were just on the right shelves. Obviously, this would take more time, money and effort than what Viz is currently willing to put forth. And while I respect the fact that they’ve put the majority of their Signature/SigIkki stuff on their e-reader apps, I doubt it brings the manga many more readers. (Too many steps in the way, like knowing the company exists and knowing they publish titles you like.) It seems to me that a little good, old-fashioned boldness needs to happen to get the word out about these titles. ...You might like this manga. Maybe? So, I would like to propose that one way to get more people interested in the Signature line would be to start teaching comic book shop employees about the diversity of manga, with a little more focus on the diversity of seinen. Educate them and get them interested different kinds of more mature manga titles, even if those manga titles are from another company. The more they become interested, the more likely they’ll read and recommend Viz Signature manga to their customers. Then help the employees decide which books might best fit their customer base, and they do the rest. Sure, Viz could go a more traditional route and just send out more press releases, maybe put a few advertisements on non-manga sites. But I feel like a lot of readers are a bit too biased for that. They need recommendations from people they trust. One of the worst ideas behind manga publishing, I think, is the lack of energy when it comes to publishers expanding their existing, fanatic reader base. Yeah, Naruto is only going to appeal to a certain audience and it makes bucket loads of money compared to Saturn Apartments. But that doesn’t mean Saturn Apartments can’t reach beyond the already devoted, manga-reading audience. Slice of life in space! Sure, it looks like your typical anime with the huge eyes and the cutesy characters, but there's a deep, very touching story behind all that! Really, this is one of the larger problems I see with the industry. Casual manga fans don’t even know that some of their most anticipated titles have been published or licensed. Since they don’t follow publishers or distributors closely, how else are they going to find out about new titles than in a comic book shop or chain bookstore? Word of mouth cannot always be counted upon. This happens to me constantly as the uber manga aficionado among a sea of casual fans. I’m more than happy to share my knowledge, but it’s alarming how many people don’t hear about new titles. And if casual manga fans don’t know what’s being published, how will new or non-fans find their way? This does, of course, cause the problem of potentially overstocking a book that won’t sell. But the idea of educating store owners about what’s out there for grown-up readers would be to help them find manga that they want to sell to their customers, not just keeping up with the bestseller’s list and what the kids want to buy. Not just stocking everything Viz puts out each month. Not even just stocking the whole Signature line. Just what the staff wants to sell and thinks would work best for their shop. Smart manga like the Viz Signature line really need a smart plan to help them find their audience. With any hope, Viz will once again pick up their adventurous, experimental spirit and let the Signature line shine once again. 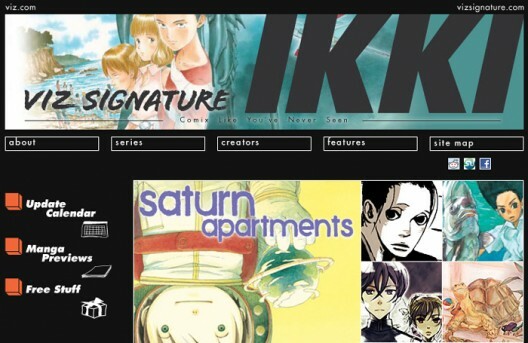 This entry was posted in manga, opinion and tagged House of Five Leaves, La Quinta Camera, Manga Moveable Feast, Natsume Ono, Saturn Apartments, SigIkki, Tesoro, Viz, Viz Signature. Bookmark the permalink. It sounds like a possible concept… probably comic book stories already get previews and news update or what not. But the potential to market to comic book stores are pretty small, and limited since they are also trying to keep their customer base. Comic book stores are already losing to online retailers like Amazon. Personally I as a consumer, I am always wanting to see a read-alike list near books. Personally I as a consumer and bibliophie, am always wanting to see a read-alike list near books. So that is sometimes nearby. But I always enjoy going to Forbidden Planet comic bookstore to browse/research.. but purchasing is on a maybe aspect. bibliophile…. (typo) I spammed your comment queue. Which I think is all the more reason to educate comic book stores on manga and help the employees find out what kind of manga they want to read. I work at a comic store that sells a LOT of manga. In fact, our distributor informed us that we purchase more manga than any other comic store in Northern California. I also love manga myself, and promote it to customers often when they ask for recommendations. That said, I think your desire to see manga sales increase is a good one, but I’m not so sure about your methods. How would you propose “educating” the staff about manga? All of my co-workers love comics, but what they read and choose to recommend to others is their personal choice. We talk shop to each other all the time, but personal preference is personal preference, and I don’t know of any national chain comic stores where you could try to enact a push to sell a particular title. My point is, you can lead a horse to water, but making it drink is another thing entirely. Also, you seem to have a lot of faith in the amount of disposable income comic stores have to stock books that do not sell well. The recession has not been kind to comic stores, and the kind of risk you’re asking them to take as far as ordering in quantity is not the kind of hit comic stores are willing to take. We’re talking about mom and pop operations here, in a time where huge chains are failing. Finally, I have learned a whole lot about manga ordering and distribution from working at a comic store. There is pretty much one major comic distribtor that a lot of publishers have an exclusive contract with, so it’s often the only option. Obviously, my boss favors this distributor because he has no other choice in a lot of cases. The way this distributor handles manga is pretty awful, to say the least. We pretty much get one initial chance to order books, and they go out of stock faster than you can say “wtf? !” Don’t get me wrong; those of us who are the manga lovers make sure we order some non-Naruto titles in quantity (Tezuka books and the re-release of Sailor Moon, for example), but the store simply can’t afford to take this chance with all VizSig stuff, no matter how much we, as employees, personally like them. Hell, it took us MONTHS to get Nausicaa back in stock, and I can sell that book all day long! I’m on your side as far as wishing for more licensed seinen titles and better sales. It’s going to take more than just passion to do what you want to do though; it’s going to take money and time. If VIZ isn’t willing or able to kick in, comic stores just don’t have the resources to pick up the slack. I think there’s a slight misunderstanding here. I’m not trying to get all the comic book stores to order all the Viz Sig line. I’m more interested in comic book shops being able to choose what they think would best fit their audience and only ordering a few copies of those series. Also, I wasn’t looking to suggest that every store be educated on manga. Only the stores that would want to be, that think they could sell more of the right manga if they knew what the right manga was. Essentially, stores that know manga isn’t all shoujo bubbles and shounen heroes, and would like to learn which is which. If the matter is totally ruined by the distributor, then there’s probably little to be done about it. :< This is why I'd love to get the chance to work in a comic book store and learn more about ordering and distribution from a different angle. I agree that to an extent marketing could help, but between poor distribution and some peoples complete unwillingness to try manga it can be really hard. I work at a shop and even great series that are already out are hard to push when there’s a missing volume. I can’t sell a series like Monster when the 3rd volume has been out of print for several years. I can try my hardest to push series and I will succeed sometimes, but the brick wall is always missing volumes. My shop has no way to access volume 1 of Drops of God, something that came out fairly recently, unless I order it from amazon, which is a bit ridiculous. This is one of those out of the ordinary series that I can easily push onto people, enough so that I have several names in my system telling me that when this is available to get them a copy and then subsequently the rest of the series. Unfortunately knowing our distributors track record this will not happen, and I’m blaming the distributor in this case, but Monster volume 3 is going for several times cover price on amazon, which means that’s on the publishers end. Yes, distribution seems to be the biggest hurdle to overcome here. Which is probably why publishers should take more initiative before their series start printing! Sure, Viz had a plan to push SigIkki online, but since the plan also involved printed volumes… I don’t know why the dropped the ball there. But it seems to me that in order to continue the line, they need to start pushing their new volumes a bit harder. As for series like Monster, I think it might be a matter of eventually doing an omnibus edition. Viz does like to do that, even if it takes them forever to get those in print again. (To many people’s dismay.) As for Drops of God, I don’t know what’s up with that. Obviously I don’t know the sales numbers, but it might have been too big a project for the small American manga market. If it keeps going into double digit volumes but selling poorly, it just wouldn’t be worth it anymore. Ray has hit the nail on the head. He’s offering up great titles like Monster and Drops of God as examples, but they are just two of the literally hundreds of titles that go out of stock almost immediately after their initial release. Cash cows are what the distributer chooses to keep in stock, and if there is not enough demand for a title, they drop distribution on it completely. 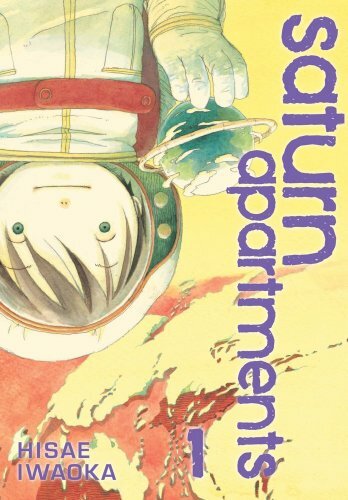 Our store never received even a single copy of Saturn Apartments vol. 2, but we received vol.1 and vol. 3 just fine. When I asked the person in charge of manga ordering why we never received that volume, he explained that the distributor will not ship a title until they have received enough small orders for various stores. If those orders don’t add up to a high enough number, it’s tough beans for mom and pop shops; they don’t ship it to any of us! I was on the pull list for that book, so you can imagine my frustration. I’ve sometimes wondered if going back to the ollllld-old-school method of publishing manga chapter-by-chapter in comic book format might be worth a shot. Not for every title, of course, but at least for the more action/suspense-oriented ones. It’d be in a format that comic shop customers are more familiar with, and people on the fence about trying manga might find a $3.99 risk more palatable than a $12.99 one.